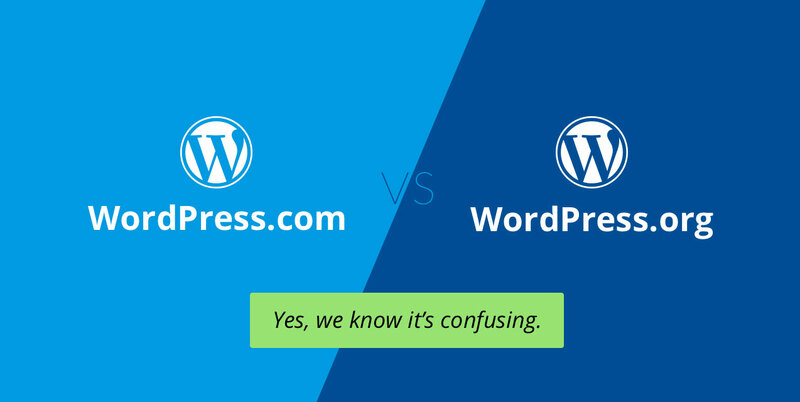 One of the first choices that aspiring bloggers need to make at the start of their career is whether to use WordPress.com or WordPress.org. It is possible to migrate a hosted WordPress.com website to a self hosted WordPress.org website. It is possible to move a self hosted WordPress website to WordPress.com too. Therefore, you need not worry too much if you later feel you made the wrong choice, as moving a website from one option to the other is straight forward. That being said, I feel it is better to get things right from the start (particularly as WordPress.com charge for redirecting a URL – more on that later). In order to make an informed decision, let us take a closer look at what WordPress.com and WordPress.org offer. WordPress is an open source blogging script and content management system (CMS) that is free to download. It has the prestigious title of being the most used website platform on the internet. The software allows bloggers and other website owners to change the look of their website using a WordPress theme (also known as a WordPress design or WordPress template). The functionality of WordPress can also be extended significantly by activating a WordPress plugin; which is a set of functions that can be inserted into your website at the touch of a button. WordPress can be downloaded free from WordPress.org. 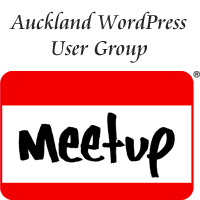 While there is a discussion forum in which users can ask other WordPress users questions, you are essentially on your own and need to handle everything yourself. You are not provided with support and you need to purchase a domain and web hosting in order to build a website using WordPress. This can be a little daunting to non-technical users who have never owned a website before, however it means that you have full control over your website. There are no limitations on what you can and cannot do. WordPress.com is a hosting service that is powered by the self hosted WordPress.org software (it uses a modified version of WordPress Multisite). Although many people believe that WordPress.com is only for bloggers, the service can be used to create any type of website. What attracts many people to the WordPress.com service is that it requires no technical knowledge. WordPress will host the service for you. This allows you to create a website and publish it online in just a few minutes. Using WordPress.com means that you do not have to worry about configuring your web host. Nor do you have to concern yourself with optimizing your website using cache plugins or installing security plugins to make it more secure. WordPress.com takes care of all of that. A basic plan for WordPress.com is 100% free and allows you to publish a website at the wordpress.com sub domain e.g. upthemes.wordpress.com. Be aware, however, that the free option is quite limited. You cannot use your own domain and WordPress.com will display ads on your website. You are also restricted to 3GB of storage and basic customization options. Their premium plan retails at $99 per year and includes a custom domain name, font and CSS editing options, 13GB of storage and priority email support. 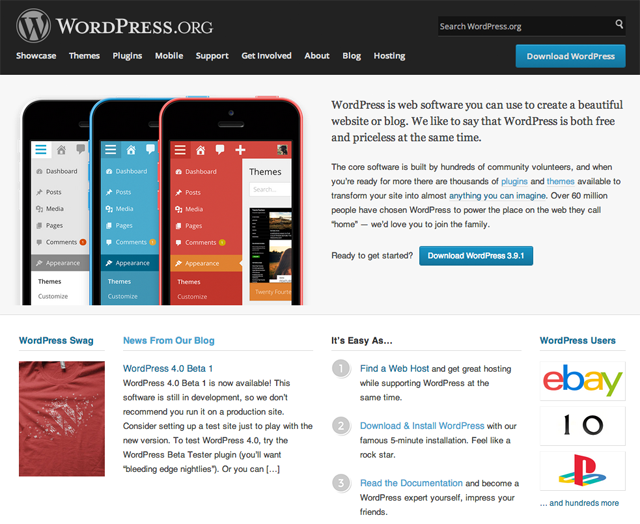 Advertising banners are also removed and WordPress’s VideoPress feature is included as part of the plan. Upgrading to the business option at $299 per year allows you to build an eCommerce website and store unlimited videos and images. It also offers live chat support and includes 50 premium themes. 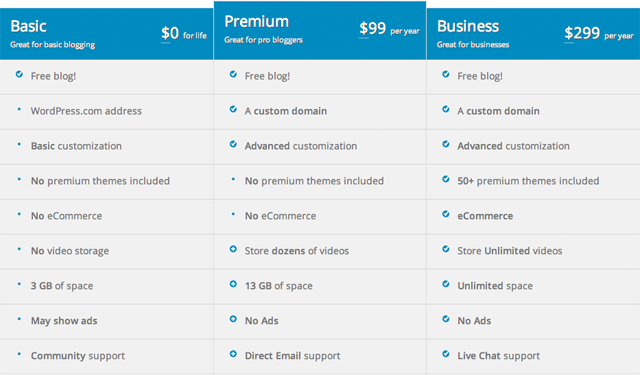 WordPress.com users can purchase upgrades individually and cater features to their own needs. The three plans that are mentioned above are essentially bundles of existing upgrades. If you prefer, you can purchase upgrades individually, but as you can see from the list below, the cost of using WordPress can quickly increase. Domain Registration ($18 Per Year) – Most domain name companies charge $10 per year to register a domain, however WordPress.com charge $18. To discourage people from using their own domain elsewhere, they charge $13 per year to use a domain you already own. They also charge $8 per year to hide your domain registration information. Site Redirect ($13 Per Year) – Moving a website from WordPress.com to a self hosted WordPress installation is easy, but if you do not want to lose all of that traffic you generated, you need to pay $13 per year to redirect traffic from your old domain to your new domain. No Ads ($30 Per Year) – Removing ads from a free WordPress.com account will set you back $30 per year. VideoPress ($60 Per Year) – VideoPress allows you to upload mobile friendly videos to your website. You can load videos up to 1GB in size and define privacy settings for visitors. Additional Storage (From $20 per year) – If you find the 3GB of storage that WordPress.com provides free to be a bit limiting, then you will need to upgrade. $20 per year will give you an additional 10GB of storage, $50 will get you 25GB, and $90 will get you 50GB. Upgrading allows you to upload audio files and zip files (free users are restricted to image uploads). Unlimited Premium Themes ($120 Per Year) – There are many free and premium themes available to WordPress.com users. It will cost you $120 per year to get access to all themes. If you change your theme a few times a year, this could be a worthwhile upgrade. I believe some of the above upgrades are too expensive, but on the whole, hosting a website through WordPress.com will only be marginally more expensive than self hosting a website yourself as even a small self hosted WordPress website will cost between $50 and $100 to self host every year. The big difference between WordPress.com and WordPress.org is control. When you self host a WordPress website, you have 100% control over everything. For most website owners, having full control over their website is vital. However, for others, this additional responsibility is a headache as it means they need to backup regularly and deal with security issues. WordPress.com’s greatest asset is that it deals with technical issues so that you can focus on your website. Unfortunately, profiting from a WordPress.com website can be difficult. Even if you pay $30 per year to remove advertisements, you are not permitted to display banners advertisements on your website or integrate advertising solutions such as Google Adsense. 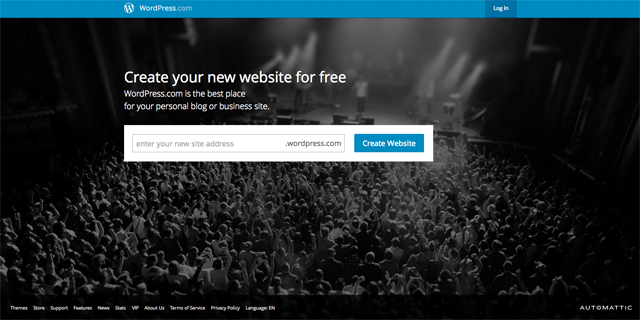 You are, however, permitted to integrate affiliate links into your content, therefore it is possible to generate income through a WordPress.com website and still adhere to their terms and conditions (note that large companies who use the WordPress.com VIP hosting service are permitted to display their own ads and selected WordPress.com customers can earn income through WordPress’s own advertising network WordAds – but they take a 50% cut!). Here are what I consider to be the main pros and cons of using WordPress.com and self hosting using the software from WordPress.org. You have to decide upon a good host and cover the monthly costs. 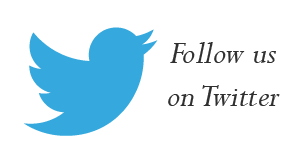 If you are only looking for a personal blog to share your thoughts online, I recommend using WordPress.com. It is reliably hosted and backed up, and if you do not need any upgrades, it is 100% free to use. Likewise, if you do not want to have to spend time dealing with security and technical issues, you may prefer to have this handled by WordPress.com. Unfortunately, the benefits of WordPress.com come at a price. If you use WordPress.com, you do not have full control over your content, which means that a WordPress.com administrator can change your content or delete your website entirely if they believe it is not suitable. You cannot integrate other software into your website and you cannot display advertisements on your website either. This really restricts how you profit from your website. I believe the decision is simple. If you want to profit from your website, then self host using the software available at WordPress.org. It is the only way to guarantee that you have full control over your online property. If, however, you are only looking for a place to share your thoughts, WordPress.com is a great solution as they take care of the boring technical side of things.